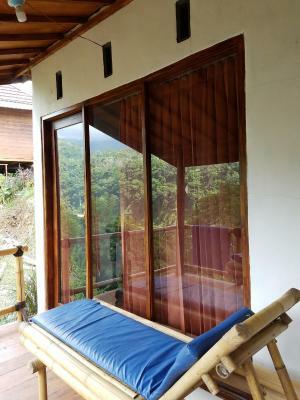 Lock in a great price for Dragonfly Senaru Lodge – rated 8 by recent guests! 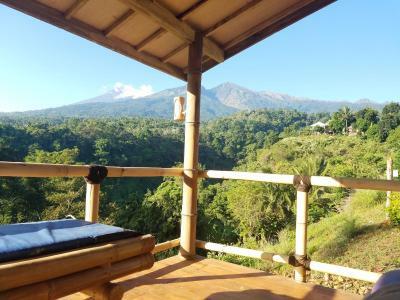 Fantastic views from porch, and an excellent location for the waterfall hike and the Rinjani trek. With most of the nearby hotels and homestays shut from the aftermath of the earthquake, this is a decent place, if only the staff could be more professional. The view in front of the room was spectacular. Mt. 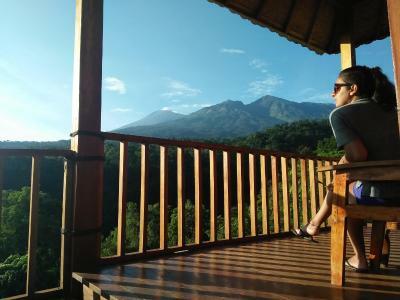 Rinjani's Summit and Sendang Gile Waterfall just in front of your eyes. We absolutely happy to stay there and will recommend to everyone. 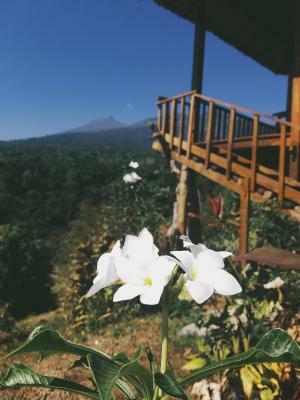 You feel like you belong to Lombok, and mostly to Senaru when u live in this lodge. 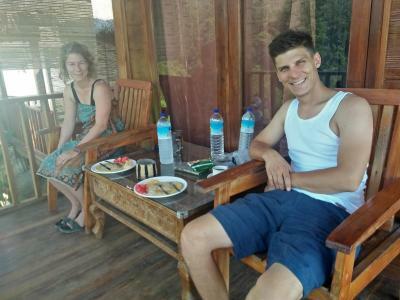 The owner is very friendly and really concern about your staying in Lombok. 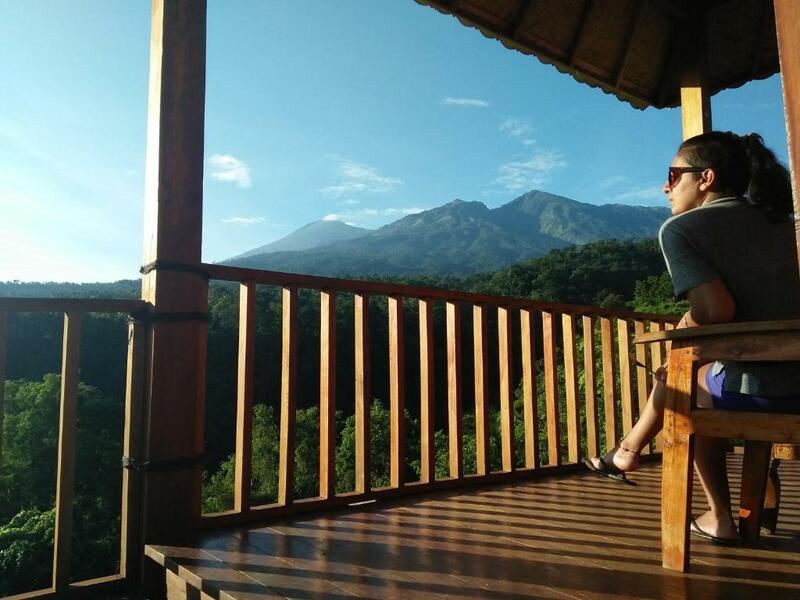 Everyday you wake up in the morning and wait for the sunrise with the perfect view of Rinjani and the Sendang Gile Waterfall at the balcony. 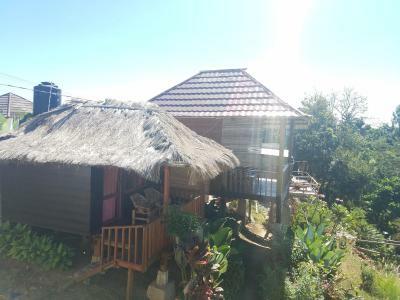 I can say Dragonfly Lodge Senaru is paradise for Senaru, with the picturesque view, and u can make a lot of friends with the local people from Senaru when u stay in Dragonfly Lodge. The owner Pak Akrya, Ibuk Akrya, and Wika treated me as i feel i was part of their family. And yeah they have the best white coffee in Senaru, i bet. The host (owner) really helpful. Can see the waterfall from the balacany and only a 5 minutes walk. The view is phenomenal. 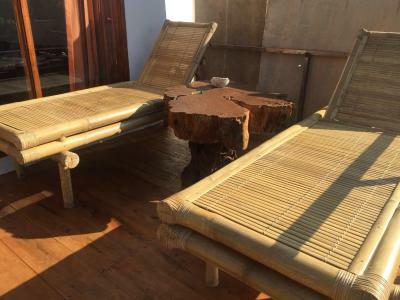 The owner and his stuff are super friendly and can make you feel part of the local village. We already miss them. 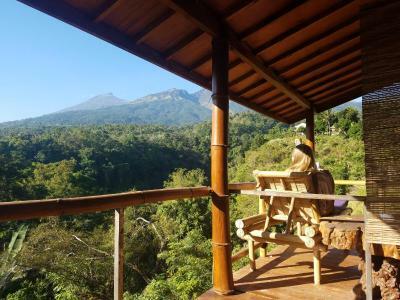 Lodge is right at the foot of the water falls and gunung Rinjani. the staff is really friendly and helpful. i found it amazing when the young people like Dika and friends taking care of their work really well. the location is amazing! really close to the waterfall. 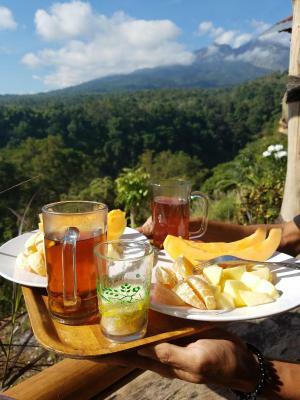 be careful with people around who said that the entrance fee is expensive, it just 10.000 idr. if you really bad at direction and scared of the jungle then better hire a guide who will help you pass through the stream. me and my friends and good enough to find the big waterfall our own. We liked the hospitality and availability of Wika. Amazing view! We could see monkeys in their natural habitat. Staff is very friendly. 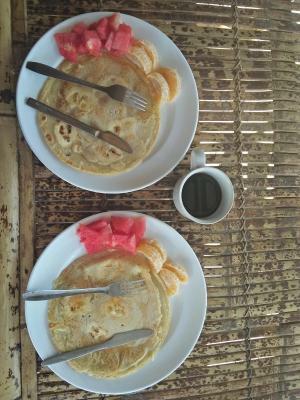 Breakfast was ok. Very cute place. 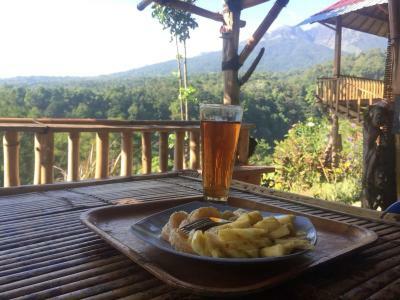 Dragonfly Senaru Lodge This rating is a reflection of how the property compares to the industry standard when it comes to price, facilities and services available. It's based on a self-evaluation by the property. Use this rating to help choose your stay! 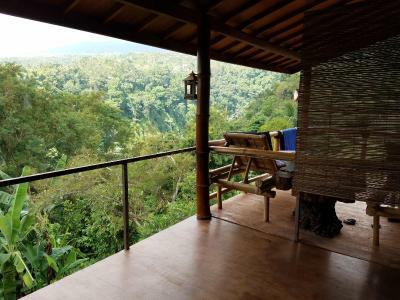 Located in Senaru, Dragonfly Senaru Lodge provides accommodations with private terraces. Offering a restaurant, the property also has a garden. Staff on site can arrange airport transportation. 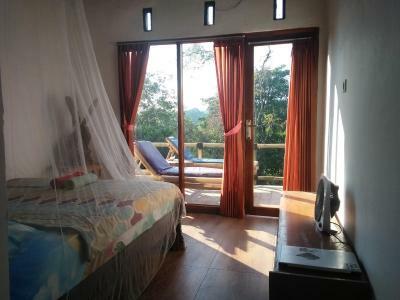 At the guesthouse, the rooms have a balcony with a mountain view. 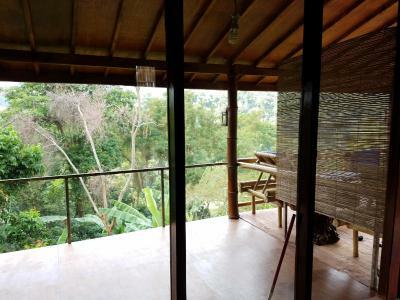 With a private bathroom, certain units at Dragonfly Senaru Lodge also provide guests with a river view. 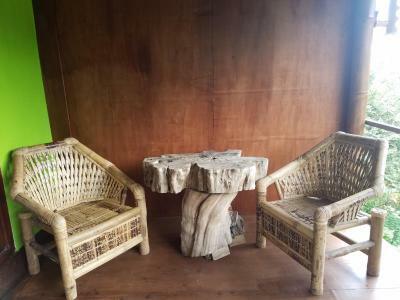 Guest rooms at the accommodation are equipped with a seating area. 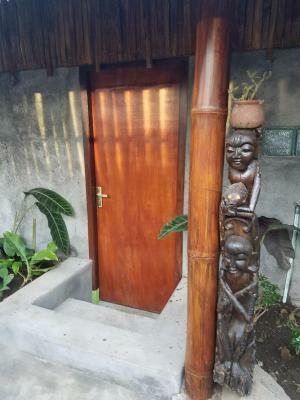 Gili Trawangan is 25 miles from Dragonfly Senaru Lodge. 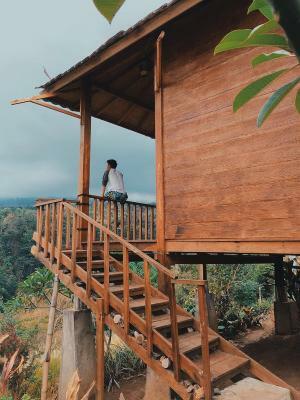 When would you like to stay at Dragonfly Senaru Lodge? 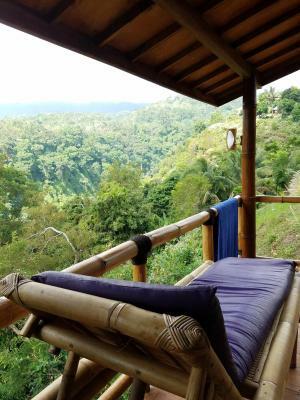 House Rules Dragonfly Senaru Lodge takes special requests – add in the next step! 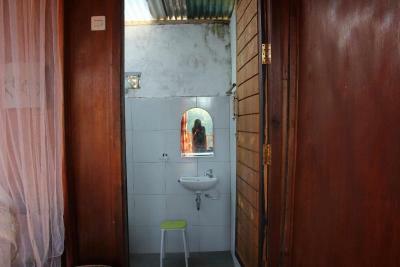 Up to two children under 16 years are charged IDR 100000 per night when using existing beds. Please inform Dragonfly Senaru Lodge of your expected arrival time in advance. You can use the Special Requests box when booking, or contact the property directly using the contact details in your confirmation. Broken roof over the toilet. Needed to ask for toilet paper. Ran out of water after flushing the toilet twice, and then we heared a beeping all night long to notify that the pump was dry. You can see through the wooden floor. The roof is made of metal so it is very very loud when raining. Red blood like stains on the bed sheets. The mosquito net was full of big holes and could not close properly. We still had a nice stay, but a very small investment could make it a lot more worth the money! Kitchen could do with a bit of a clean. 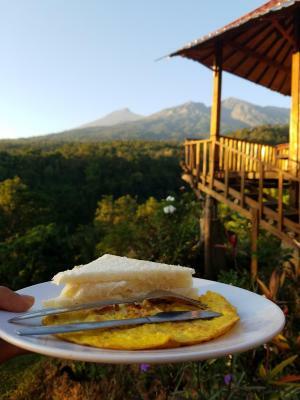 This accommodation has the best view in Senaru. 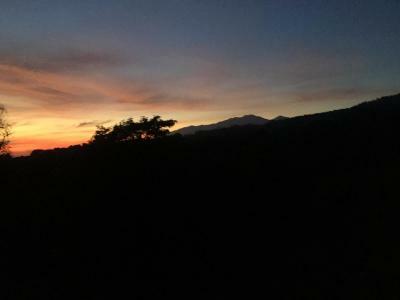 You can wake up looking at Mt. 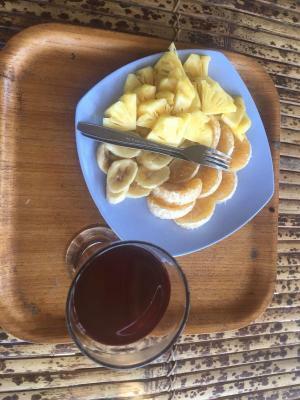 Rinjani! Our host was exceptionally friendly with hopes of always improving his business. There is a brilliant just next door that serves the most delicious food at excellent prices. 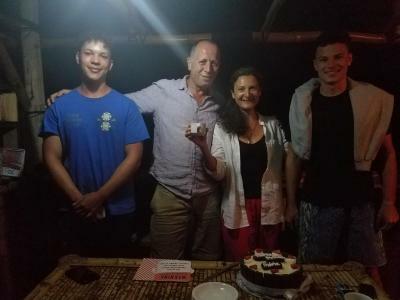 The host drove us all the the way to Senggigi after our stay for a very reasonable price. When we left he was building a new restaurant and bar area which will be fantastic when it is finished! Despite the devastation left after the earthquakes last year, this area is working hard to rebuild some shops and hotels, but the spirits are high. We found the locals to be very friendly and welcoming. The location of Dragonfly is next the the entrance for the waterfalls which are brilliant places to explore. Highly recommended for a stay before or after a trek up the mountain. We asked for a refund 10 days before , no body reply to us . Got scorpion in our room. View from balcony is amazing. Can see Sendang Gile waterfall from balcony and reception. The family are amazing and the tour was great. The most amazing bit is you can see the waterfall from the room and it's 10mins walk down the path from the back of your room. Stunning. Breakfast maybe a little light. Stunning view, super friendly staff. Rooms clean and comfortable. Laid back staff led to running out of water mid shower, endured an hour long wait for a tanker to arrive. Wifi was erratic to non existant as distributed by staff phone, so down when he took off to hang out for long periods when he went off to meet friends and then died completely when he ran out of phone credit.